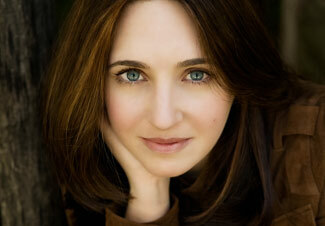 The Philharmonic Society of Orange County closed its current season on Monday with a wild card – pianist Simone Dinnerstein. Much has been made of her rather DIY career trajectory. She came to wide acclaim, at least among the recording and ticket buying communities, following the release of a self-financed disc of Bach’s Goldberg Variations in 2007. More conventional success in the classical music field followed with a recording contract from Sony and appearances all over the globe. She has remained popular, and for good reason, more often than not as a solo performer who makes appearances on an eclectic group of stages both big and small. Monday was the first time she had appeared on a major stage in Southern California and it was to a mostly full house at the Segerstrom Concert Hall. The program consisted entirely of her beloved Bach, French Suite No. 5, English Suite No. 3, and Partita’s No. 1 and 2. The French Suite here was one that I’d previously heard her play at the Santa Fe Chamber Music Festival in 2010, a more intimate venue that played more to her strengths. She’s a quirky player and her performances do lie outside of the mainstream for most world-class soloists. She is unique, but her playing is also rather mannered. On Monday she exhibited neither an academic restraint that favored clarity nor a period sensibility that brought out the dance rhythms underpinning each movement in all the suites. Instead she takes an impressionistic tack that views Bach’s line as broad strokes of color as if it was something Debussy had written that was long since overlooked. At times, particularly in the faster movements, this approach can verge on cacophonous distortion towards unclear ends. At other times there is a beautiful glow and warmth although never much of a sense of stillness. Ironically this penchant for broadly colorful impressionistic playing may seem last suited for the music of the composer she is best known for. But it is also one of the things that sets her apart from the pack and keeps her so popular with audiences.